Full colour velcro patch approximately 8cm x 5cm showing black and white UK flag with 'thin blue line' through the centre for police and law enforcement. Sewn velcro loop on rear, mounted on patch of loop velcro. 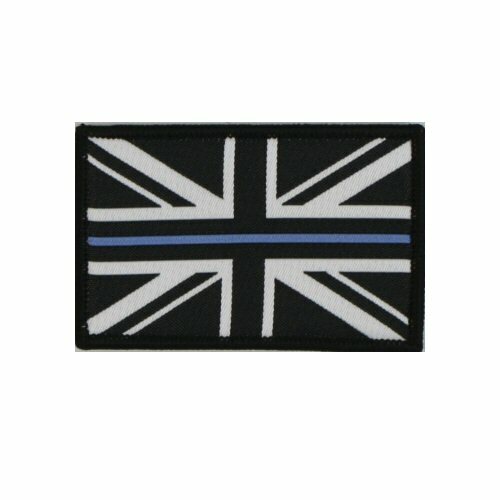 UK thin blue line flag ideal for tactical caps, jackets, bags and many other applications. Interwoven design with merrow edge.